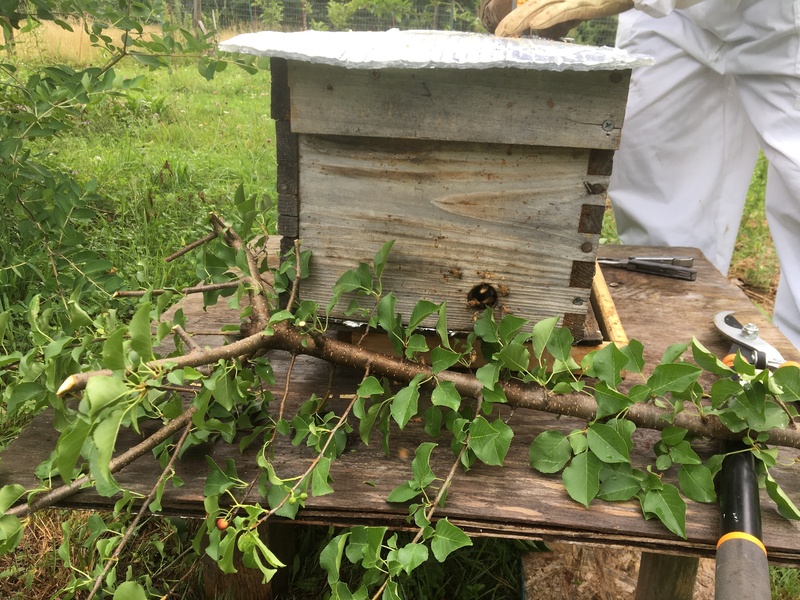 The swarm on the plum branch seemed like a casual gift, almost accidental – like Mother Nature threw us a bone – to make up for the fact that our original hive was robbed. 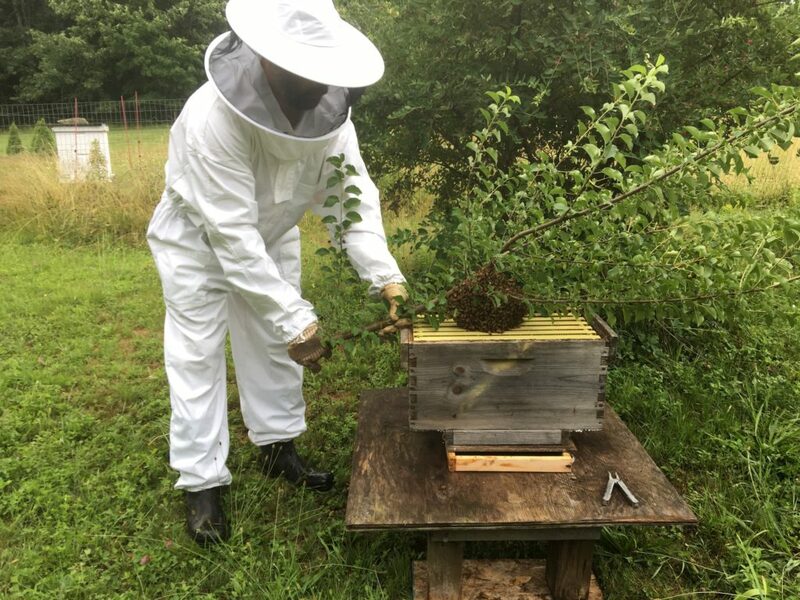 It was nice to be with bees that were happy. The swarm was docile, as all bees without a home are, as they have nothing to protect. We had to act quickly because more rain was forecast. 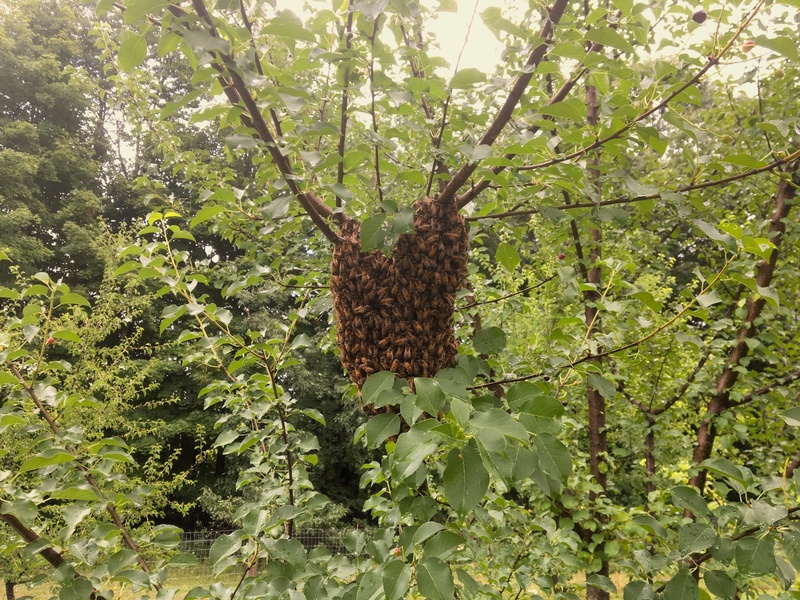 Gave the thing a little shake and snipped off more branches so the bees wouldn’t get crushed and in the process discovered the new queen. They took to their new, temporary home instantly. Guard bees were seen plugging up the hole to the hive (bottom right). Wish us luck. 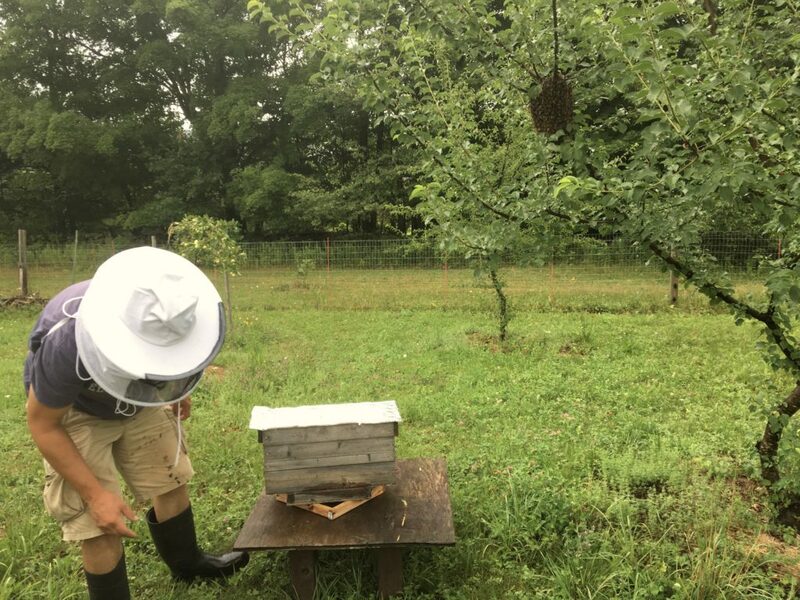 You have another issue with your bees. If your colony is being robbed by other bees it means your colony is too weak to protect it’s self or the bees have died out and thats why other bees are robbing what’s left. 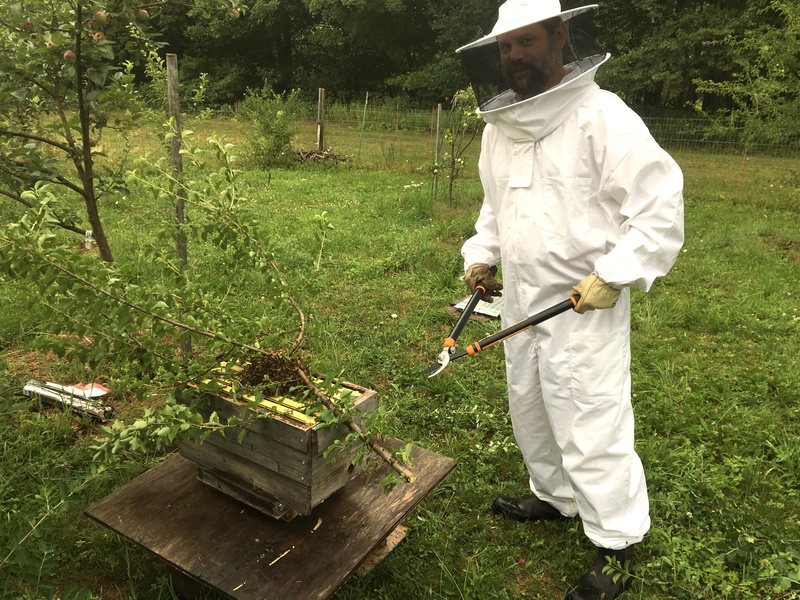 I will be in Kingston in October and would be willing to give you guys some of my knowledge concerning your bees.